In alphabetical order by author, because choosing only ten made me ill, and sequencing them would kill me. 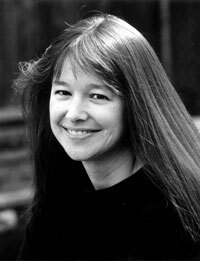 Anne Fadiman is an essayist and reporter. The Spirit Catches You and You Fall Down, her account of the crosscultural conflicts between a Hmong family and the American medical system, won a National Book Critics Circle Award. Ex Libris: Confessions of a Common Reader, is a book about books (buying them, writing in their margins, and arguing with her husband on how to shelve them). At Large and At Small is a collection of essays on Coleridge, postal history, and ice cream, among other topics. Her essays have appeared in Harper’s, The New Yorker, and The New York Times, among other publications. Fadiman has also edited a literary quarterly, The American Scholar, and two essay anthologies, and serves as the Francis Writer in Residence at Yale University.